Manufacturer & Supplier of Cable Raceways for Building. Our product range also comprises of Cable Trays, Perforated Cable Tray and Stainless Steel Cable Trays. Our company is among the trusted manufacturers and suppliers of supreme quality CableRacewaysforBuilding. These raceways are manufactured in compliance with industry laid parameters using quality tested metal that is obtained from well established vendors. Appreciated for their fine finish, light weight and easy installation, offered raceways are highly demanded in construction companies. 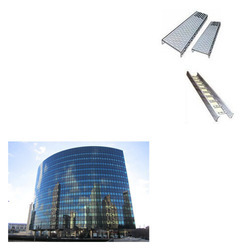 Moreover, these raceways can be availed in customer defined specifications. Looking for Cable Raceways for Building ?